First of all, the non-tangle cord is not only cool looking but it's fully functional. With all that extra width in the cord comes more wire and much less impedence, which results in a higher quality sound. With the headphones come a whopping eight different sets of ear buds. I found that the ones mounted fit me fine but I'll try out the others too. There is also a hard carrying case that also has room for extra ear buds. The best thing of all with these headphones is how awesome the sound is coming from them once you have a nice fit. Dr. Dre has said that with the digital music revolution, a lot of sound has been lost because of sub-quality headphones and his goal was to get it back. With the Beats he has succeeded. I hear sounds in songs I have listened to a hundred times that I never heard before. ControlTalk's built-in mic lets you talk hands-free on your iPhone or music phone. It works with online voice or video chats on iPod® touch or iPhone®. ControlTalk™ gives you on-cable playback control of your iPod or iPhone, including pause, next track and volume. Large, high-efficiency drivers let you crank it up and enjoy loud play without sound-wrecking distortion. Sealed in-ear design and multiple eartip designs block out external noise so you hear more of the details in your music and less of the outside world. At Monster®, we know cable. Tours’ cable features Monster’s patented magnetic flux tube and Micro-strand construction to provide clear, no-loss audio and reduced interference. Earbuds are incredibly convenient, but they’ve got one big problem: they tangle. 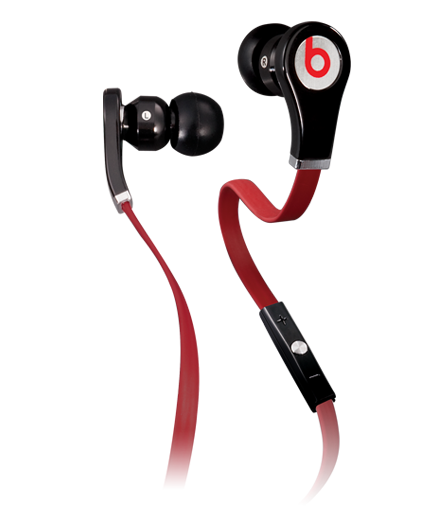 But Monster’s innovative, patent-pending flat cable design is ultra-flexible and tangle-free. You can get them straight from their website (most expensive), from Apple (expensive) or from Best Buy (good deals). Be careful about Craigslist, eBay and other sites like this. There are some poor quality fakes going around that are giving the product a bad name. But once you have the real deal, you won't regret the purchase! I bought the Zagg ones but the ones I really like is yours Boss!! I try it on Brandsmart and they are AWESOME!! Dude, I could have written this article myself. I feel exactly the same way! I too have bought nothing but V-Moda since the first iPhone. But after buying the white Tour headphones by Dr. Dre, I will never go back!!! Everybody should get a pair. It's like I wanted to listen to all my music again through these headphones. Awesome quality!! Very good info, looks amazing and if it sounds good it would be great to have them. Hey maX how much is the price of these excellent headphones? I'm thinking to get one of those for myself as a 3 REYES MAGOS gift!! Well, some places got this for 119.99!! The ones for that price may not include the ControlTalk feature. Oh, I see!! So.... the price is 199.99?? ?